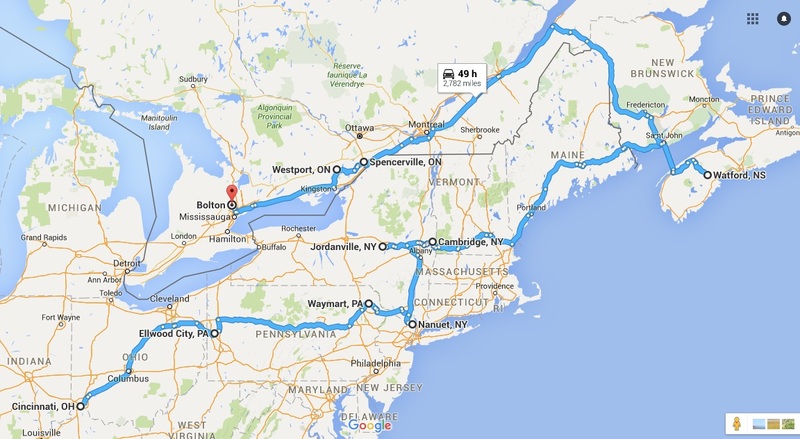 The height and breadth of North America takes away one’s breath, when one considers it all. 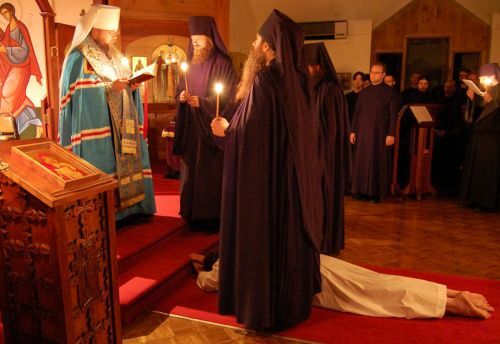 Even more breathtaking is the breadth of places where Orthodox monasticism is taking root. Below is my proposed itinerary, to give you an idea of the many monasteries planted across the USA and Canada, from Florida and the Gulf of Mexico to the Gulf of Alaska, and from the Atlantic to the Pacific Oceans. Someone recently asked me if I will be “following the seasons.” Great question, and I certainly am! I plan to include Alberta, Canada and Alaska in the Summer months, the Southwest and Southeast in the Winter, and so forth. There are already changes being made — including additions and deletions — and some sections will be broken up into several excursions. But the general idea is here. I hope also to schedule parish presentations along the way, and am already off to a good start in that regard, as you can see from the Thebaid Calendar in the right side bar. If you are interested in having me give a slide show & presentation on the Thebaid Project at your parish, please contact Orthodox Speakers Bureau, who are kindly handling all my booking arrangements. I hope you enjoy this look at one of the guiding documents of the Thebaid Project, which has been updated several times since I first began preparing it almost a year ago. This is a powerful awareness. I feel as if my life may change forever through this venture. I certainly hope it does, that as a pilgrim first, I may grow closer to the Lord, repent more, pray well, and, God willing, make some good photographs for the Thebaid Project. The first monastery I am visiting is St Tikhon’s, in South Canaan, Pennsylvania, from September 6-8. 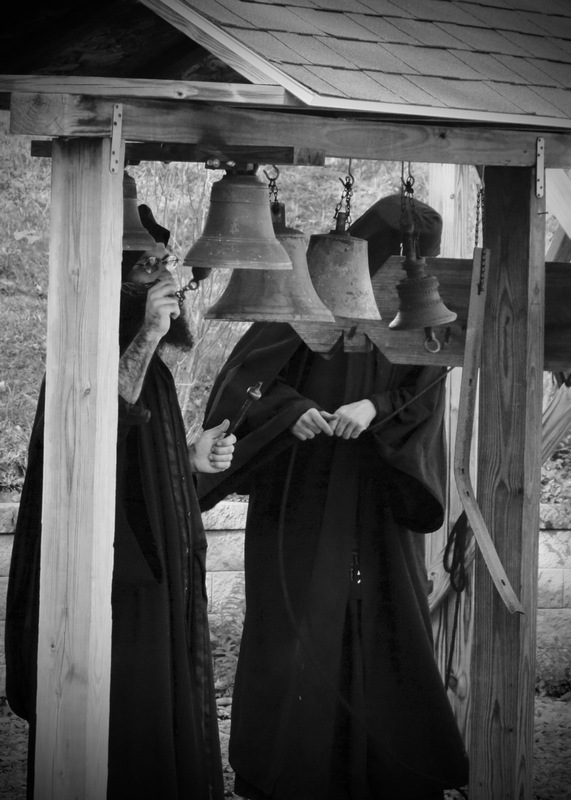 Below is a look at America’s oldest monastery, featuring an interview done with Fr. Abbot Sergius in 2009. The North American Thebaid is truly unique in the Orthodox Christian world. Market research reveals very few projects similar to this in scope or purpose, and nothing like it in North America. Most photo books on Orthodox monasticism center on exotic and legendary locales such as Mount Athos in Greece, or St. Catherine’s Monastery at the foot of Mount Sinai, or on church art and architecture. ‘Light in the Desert’, by Tony O’Brien, University of New Mexico Press, Santa Fe. Both inspirational and informational, the Thebaid book will be something to linger over and return to again and again, conveying the unseen mystery and beauty of Orthodox monasticism through visual means, and drawing the viewer to “ask, seek and knock”, and to go deeper into the Orthodox Christian faith. Because of this podvig of seeking to explore the apophatic, hidden life of the Monastic Way using visual means, I have sought to articulate a ‘Theology of Photography’ (see here and here). It is this emphasis which sets the North American Thebaid Project somewhat apart, and which requires some comparison with other photography books on monasticism. I am deeply indebted to Archimandrite Gerasim (Eliel) of the OCA Diocese of the South who, in a conversation back in February 2016, urged me to conduct an actual “market study”, to survey and identify photographic books both similar to, as well as different from, my concept for the North American Thebaid. What I discovered is both illuminating, and inspiring. There is no theology of photography. So we work with light? duh. All visual art works with light. So what? Photography is just a tool we use to say what we want to say, like any other artistic tool, be it pencils or pens or paints or clay. Don’t make it something it is not. In talking and sharing about the North American Thebaid Project, I feel compelled to try to describe both what it is, and what it is not. Much of this description revolves around the type of photography I seek to apply to the project. My “apophatic” description of the North American Thebaid Project leads me to ask if you are familiar with the recent book by Alexei Krindatch, Atlas of American Orthodox Christian Monasteries. His is a fine guide and a delightful, even inspiring, reference book, with many wonderful photos of monasteries and monastic life; it is at the same time not at all the type of photography or the sort of book I have set out to produce. My background is more in fine art photography than documentary or even journalistic photography (categories which might best describe Alexei’s work). Working primarily in black & white — which by its very nature abstracts the subject, shifting it beyond place and time — I’ve seen my gelatin silver prints selected for juried exhibits (and even win some awards) since 1983. For almost twenty years I worked in a range of film formats: 35mm, 120 (medium format), and 4×5 (large format). Then, at the turn of the century/millennium, I began making my first photographs using the digital medium, and had my first museum-grade, fine-art inkjet prints selected for the Water Tower Annual, in Louisville KY.
After a major digital camera upgrade in 2008, I returned to fine art landscape photography with renewed vigor and vision, and in 2014 published a coffee table book titled Pursuing the Light, a forty-year retrospective of my landscape photographs. The process of preparing that book led me to reflect on just what photography is, from an Orthodox Christian theological and aesthetical viewpoint. I have adapted some of my insights from the Preface to my book, and wish to share them with you. With many thanks to our growing community of supporters, we’re extending the crowdfunding campaign through September 11. As a reminder, supporters earn valuable perks, including signed books, fine-art prints and more, for contributing to the Thebaid Project. Did you know that we offer discounts for multiple copies if you pre-order the Thebaid Book in either the Founding Subscribers’ Limited Edition in bonded leather, or the First Edition in cloth bound/hardcover? Explore the substantial savings for two or more copies on our crowdfunding page. 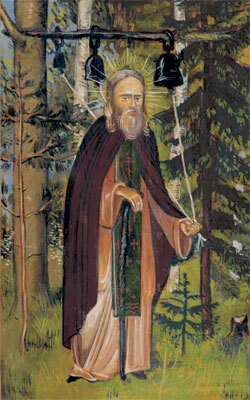 Saint Herman of Alaska, America’s first canonized saint, was an Orthodox Christian monk of holy life who lived in Valaam Monastery in Russia. In 1794, along with nine other monastics he was sent to Alaska to evangelize the natives there. In time St. Herman would become the sole survivor of the original missionaries. Throughout his long life he cared for the natives of the Kodiak area, nursing them in their illnesses, educating them, and defending them from the abuse of the Russian fur-traders. By his meekness and firm faith he won the love and respect of all who came to know him, and inspired many to follow Christ. Eventually settling on nearby Spruce Island, he lived a mostly eremitic life, while also establishing an orphanage for the children of parents who had died during epidemics. When we really stop to reflect upon what Blessed Father Herman accomplished in Alaska — and what his significance is for us today — we should be stunned by his humility, his selflessness, and his simple and pure dedication and obedience to his original mission to bring the Orthodox Faith to his new land. The first saints God raises up in a country contain a special message about what Orthodoxy must be like for that nation. Thus, Sts. Boris and Gleb for Russia—the passion bearers. And it is not a coincidence that Holy Russia begins with passion bearers and ends with passion bearers (the royal martyrs) and a whole host of New Martyrs! We need a ‘revival’ inspired by St. Herman! From this day, from this hour, from this minute, let us love God above all, and strive to fulfill His holy will! Within the Tradition of our Church, monastic tonsure is considered a sacrament, a holy mystery, and thus forms for the monk or nun a liminal event in life. Many sources consider tonsure to the schema a “second Baptism,” and having been recently tonsured myself as a stavrophore monk, I can vouch for the aptness of this description. Tonsure is the beginning of another life: all sins are washed away, the old man is laid aside, and a new person is born with a new name, given by the abbot or abbess and taken by the newly-enrolled soldier of Christ in love and obedience. Like any mystery in the Church, tonsure itself and life as a fully professed monk is hard to put into words; I must admit I was a bit daunted by the task of speaking of doubt and tonsure simply because it defies expression on many levels. As with baptism or marriage, you cannot fully know what to expect on the other side of the font or the next day after the wedding. At these thresholds of our life in the Church, we have to leap out in faith, trusting that God is leading us along His path. I had been a monastic for five years before my tonsure, and when I first entered the monastery, I was chomping at the bit to be tonsured into the schema. 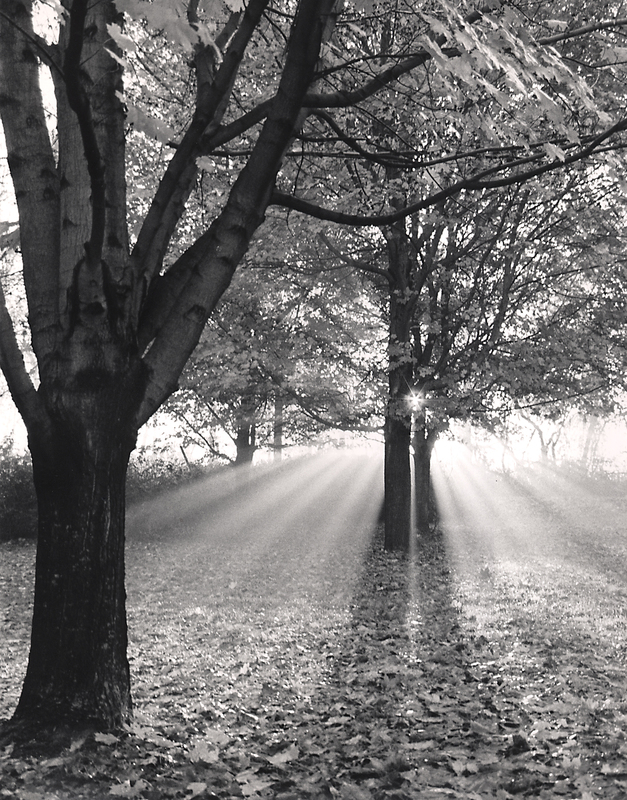 I had no clue about the hard work, both physical and spiritual, that monastic life would lay on me in order to peel away at least some of the passionate crust around my heart in order to begin to see who I really was, and who God wanted me to be. Yet this process, as necessary as it may be, is also very frightening. Over the past few years, I’ve had to confront my own weaknesses in a very matter-of-fact way. I’ve had to humble myself (or be humbled, as it were) and deny myself: my way of thinking, my desires for my life, my understandings of where life was going.